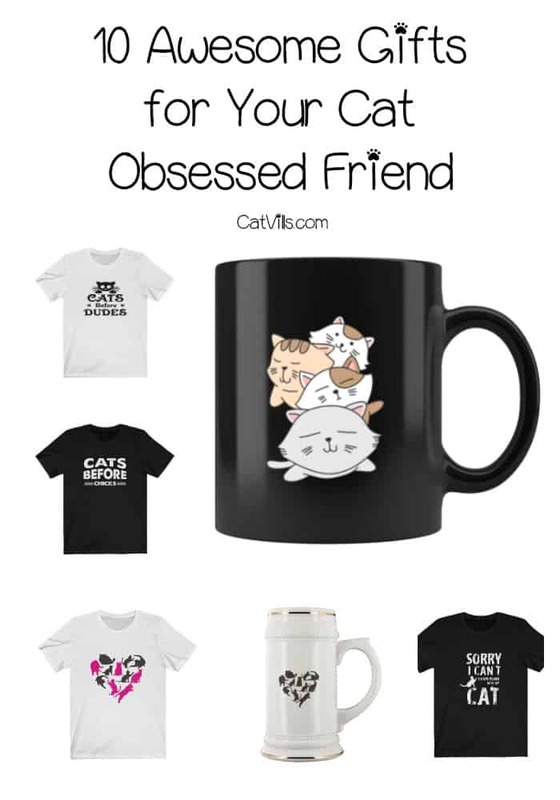 Always looking for great gifts for you cat obsessed friend? Well, as a cat-obsessed girl myself, I can honestly say I’d love to receive any of these ideas! Whether you need a great Valentine’s Day gift for mom, birthday gifts, or funny cat gifts for a “just because” present, we’ve got you covered! We even have some great ideas for those cat-obsessed guys in your life! These gift ideas will surely make your friend happy when they open a package to see any of these as a gift this year. Find more great cat gift ideas in our store, Cat Dog Gifts! Now let’s check out these cute and funny gifts for your cat-obsessed friend! 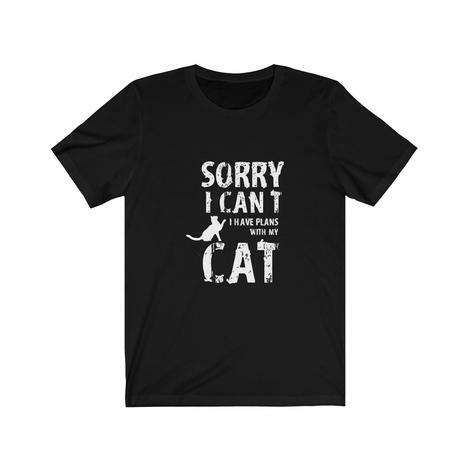 Isn’t this perfect for that cat-obsessed guy in your life? Get it for your brother, uncle, or best friend. So funny, right? 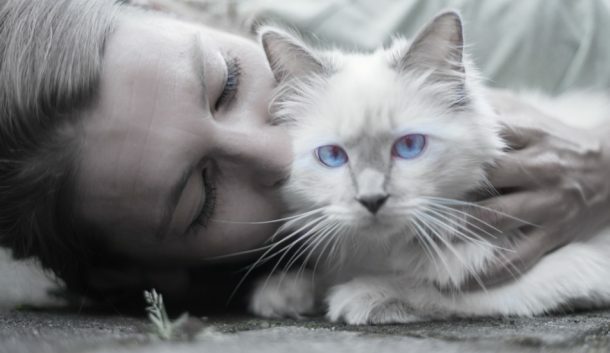 The ultimate excuse: I have plans with my cat! I’ve used this excuse myself! 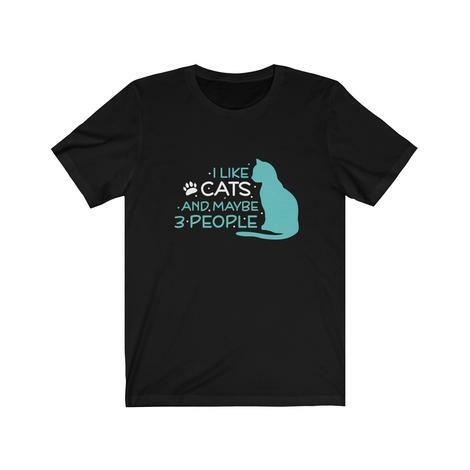 Give the gift of humor to your cat obsessed friend with this t-shirt. 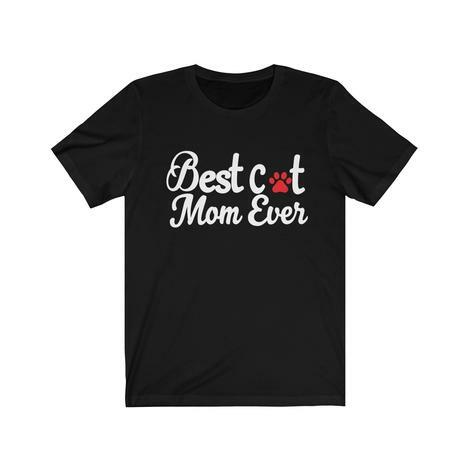 Tell her that you know she’s the best cat mom ever with this cute t-shirt for cat lovers! Also comes with a heart in place of the paw print! Such a hilarious gift for your cat obsessed friend, especially if she’s an introvert! 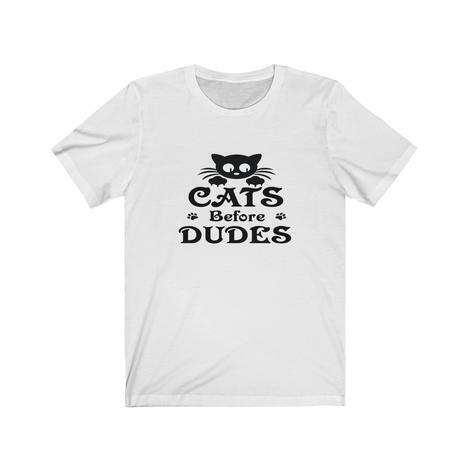 We can’t have a list with a Cats Before Chicks shirt without adding this one! It’s only fair, right? Got a cat-obsessed friend who also loves anime? Grab this insanely adorable mug! It’s perfect for any cold or hot drink! Is your friend the proud parent of a black cat? 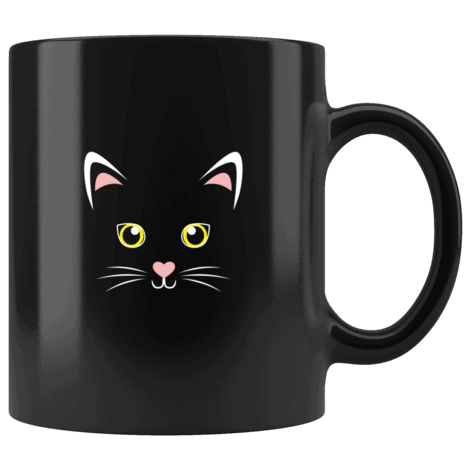 Sounds like you need to grab this adorable kitty mug! How cute is this munchkin cat mug? I don’t have a munchkin myself but I still want it! 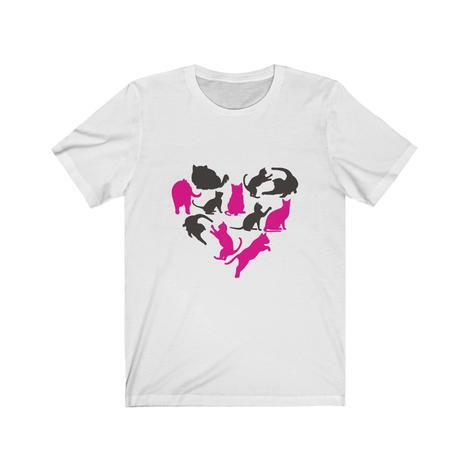 This cute shirt will make a fabulous addition to any cat obsessed friend’s closet. Having a hard time deciding on just one? Grab yourself a couple of them! Don’t forget to check out all the other fun cat obsessed gifts too! Which of these 10 gifts for your cat obsessed friend is your favorite? Comment below! I have a friend who would LOVE those mugs! I think I need to get all of them for him. These are some creative gift ideas for a cat-obssessed friend. 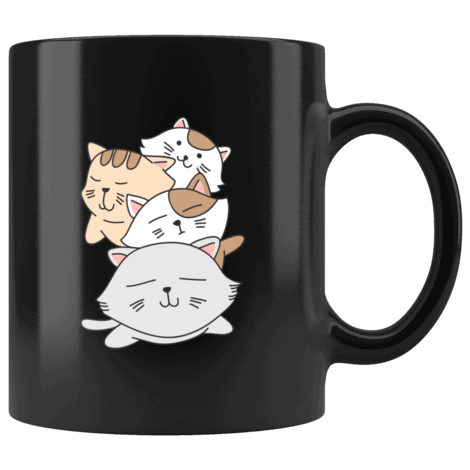 The kawaii cat pile coffee mug is my favorite, and I will check it out for my friend and myself as well. 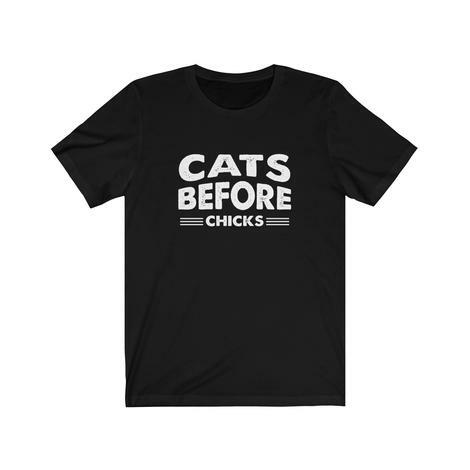 I like the first tee that says Cats before Chicks. Somehow I have someone in mind to give it to. I love and adore cats, but I have family that doesn’t, so I don’t have a cat at the moment. I do love all these adorable gifts! The ‘Cats Before Chicks’ made me giggle a little. These cat gifts are awesome – I have so many friends who love kitties, so it’s perfect! I am one of those cat-obsessed people. Well, animals in general. I would love all of these! I know a friend who would enjoy some of these cat products. She already has so many cat mugs. The t-shirt designs look great. My friends will surely like to wear one of those. I love cats and kittens! It’s such a cute memorabilia! I hope I can get one of these cute items!